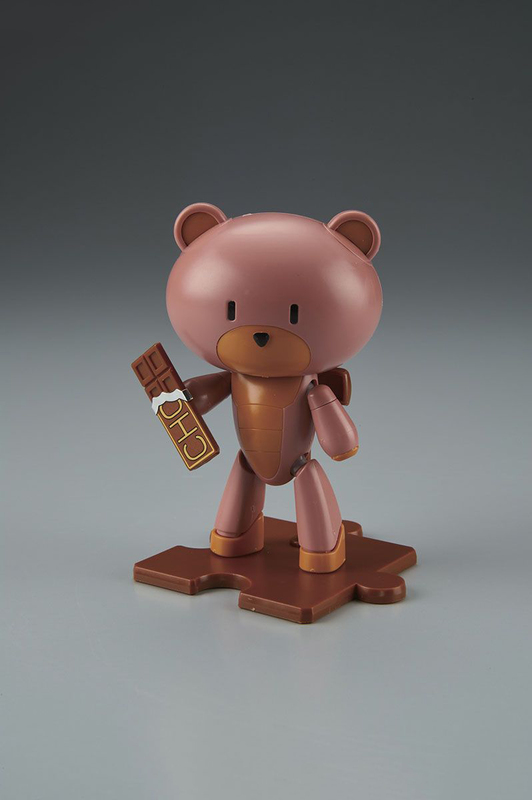 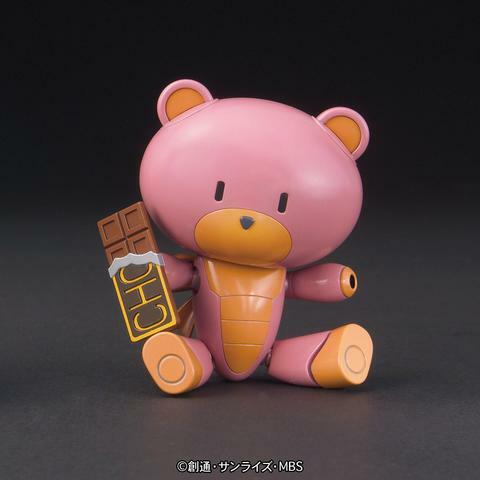 This chocolate-colored cutie is none other than a Petit'Gguy from Gundam Build Fighters! 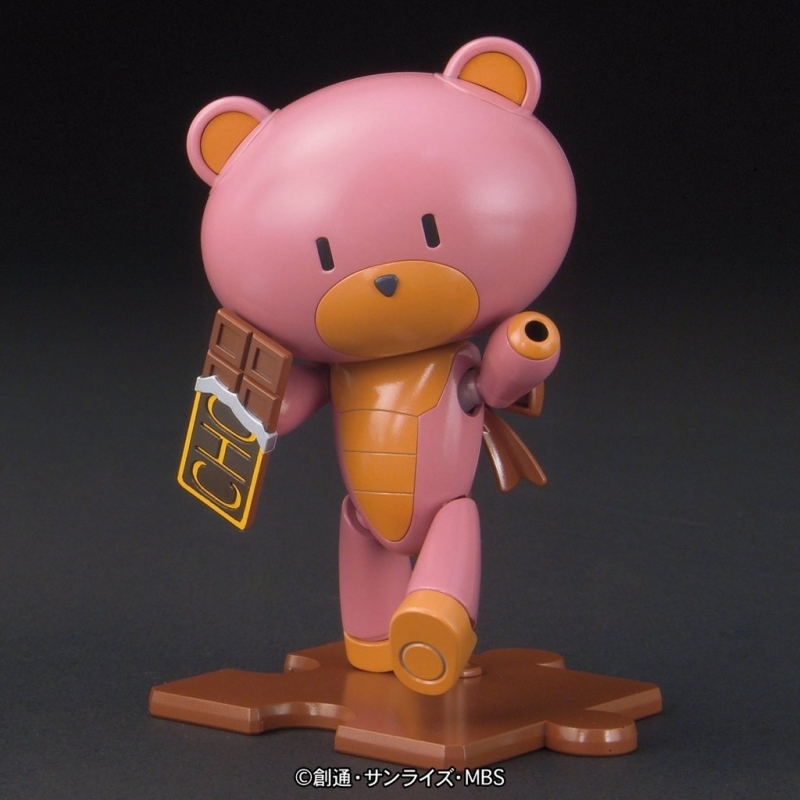 At 3" tall, this 1/144 scale plastic model is adorably chibi. 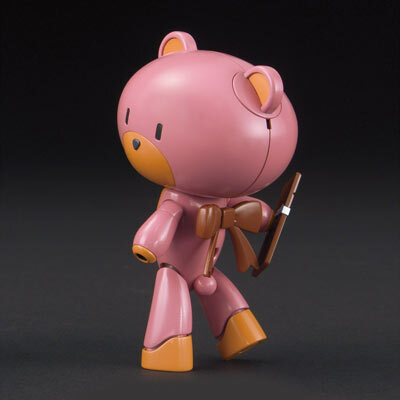 Since it's articulated, you can have fun posing it in all kinds of cute ways. 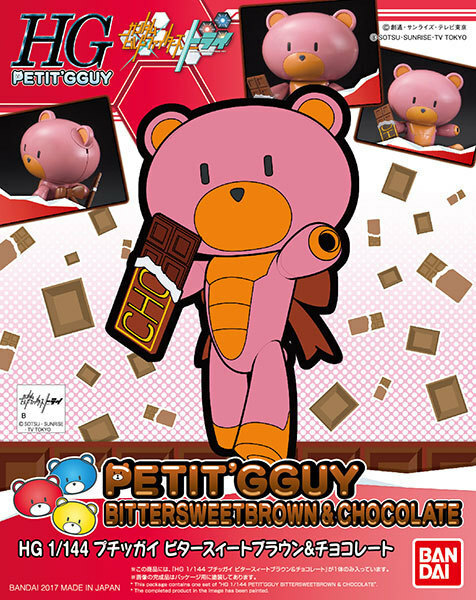 Naturally, this Bitter sweet & Chocolate Petit'Gguy has its very own chocolate bar, which you can attach to its paw for an extra delicious look! 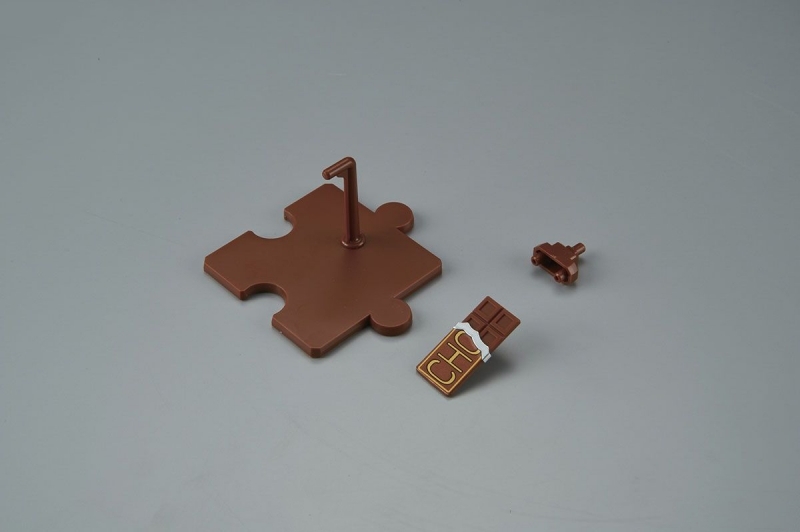 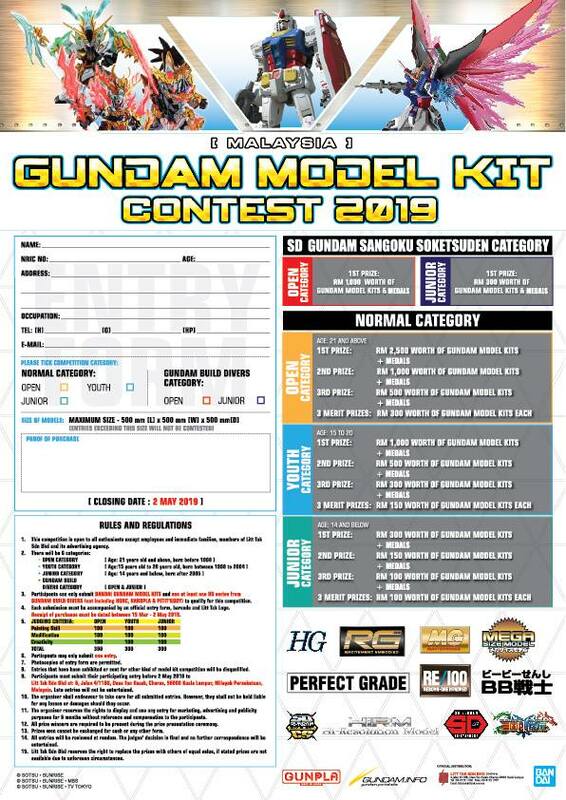 It also comes with a display stand, foil sticker, and an instruction manual. 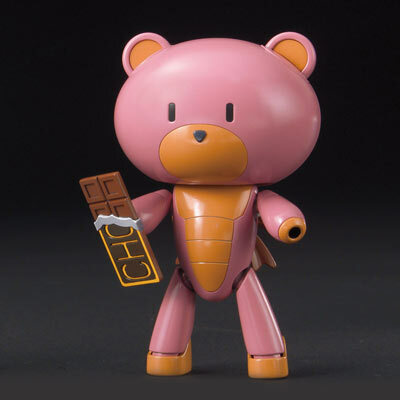 Pose it next to its High Grade Petit'Gguy friends and have a Petit'Gguy party!